In anticipation of Sunday’s “Big Game,” Atlanta-based craft brewery Monday Night Brewing has an important announcement: Don’t Call It Hotlanta. Don't Call It Hotlanta is an unfiltered double IPA that pops with tropical notes on the nose, drinks dank, and finishes with a bit of bitterness. Checking in at 8.5% ABV, it’s dry hopped four times with Columbus, Citra and Galaxy hops. This beer pairs well with grilled meats, chicken wings, an afternoon in Piedmont Park, and your couch after a 90-minute long commute. 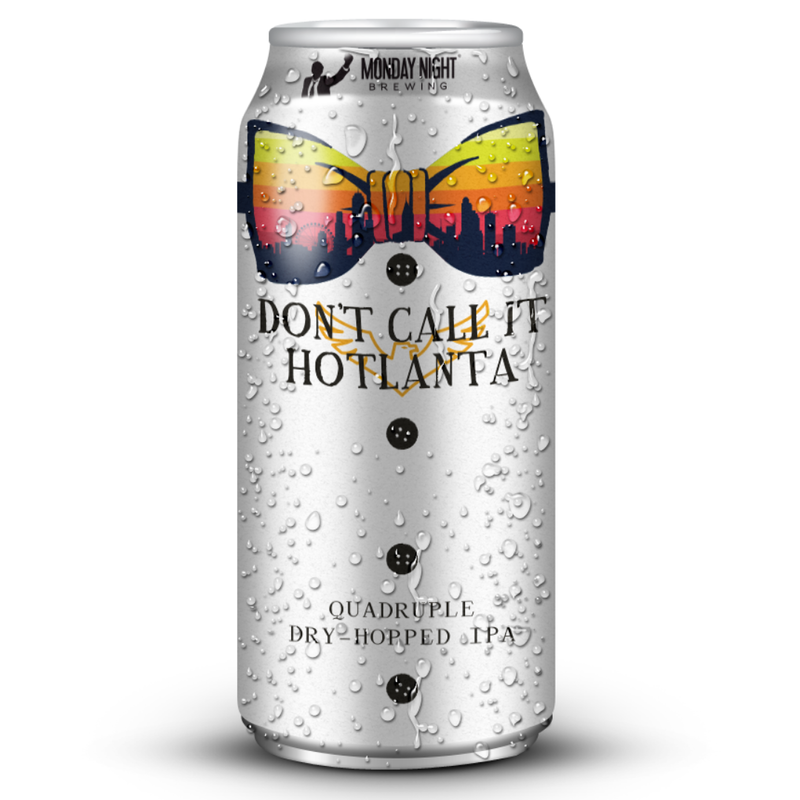 Don't Call It Hotlanta is available for a limited time on draft and in cans for to-go purchase at Monday Night Brewing’s West Midtown location. The beer will also be on tap and in cans at select retailers in Monday Night Brewing’s distribution area. Based in Atlanta, Georgia, Monday Night Brewing was founded by Jonathan Baker, Joel Iverson and Jeff Heck. Brewmaster Peter Kiley oversees barrel-aging and souring at their brand new facility, the Garage, in Atlanta’s Lee + White project on the southwest side of Atlanta.